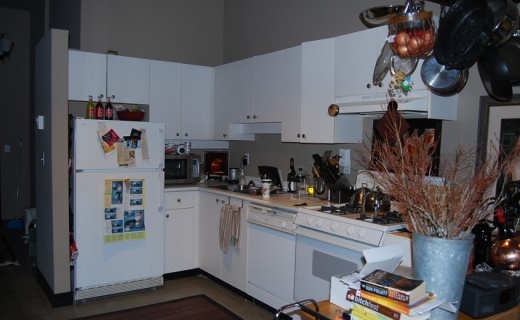 The original kitchen in this upscale loft building looked as if it had been added at the last minute as it was the lowest grade melamine cabinetry available. It hadn’t aged well by the time my client purchased the unit from the original owner. 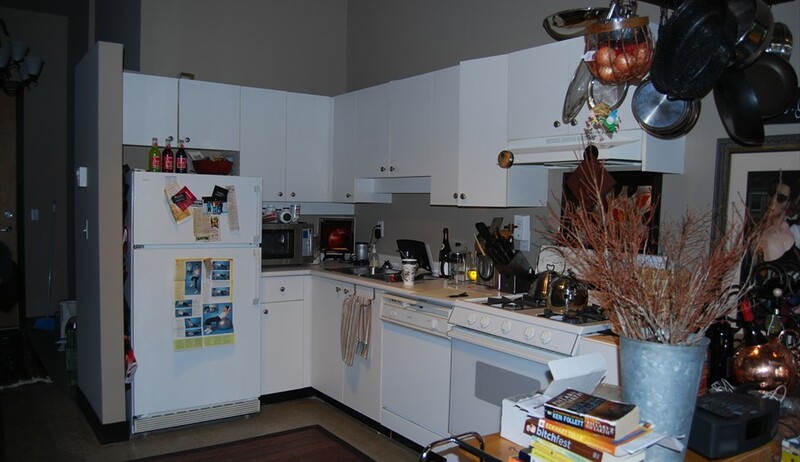 “Something with a bistro feel and not so many upper cabinets” was the brief. That, and maximum storage. An upgrade from the original low-quality melamine cabinets in this loft has elevated the whole space. 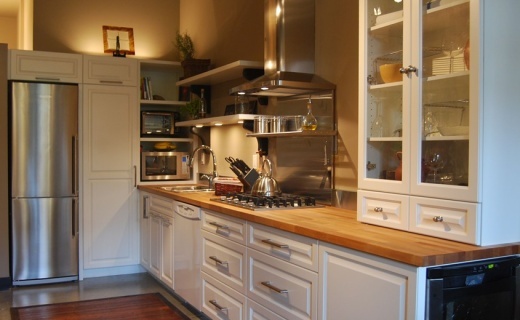 Open shelving, wood counter tops and a touch of stainless convey the bistro style the owner was hoping for. A glass-doored cabinet that comes down all the way to the lower cabinet looks more like a piece of furniture. The tall pantry by the refrigerator is so effective as storage that the counter top that was lost in the process is not missed.